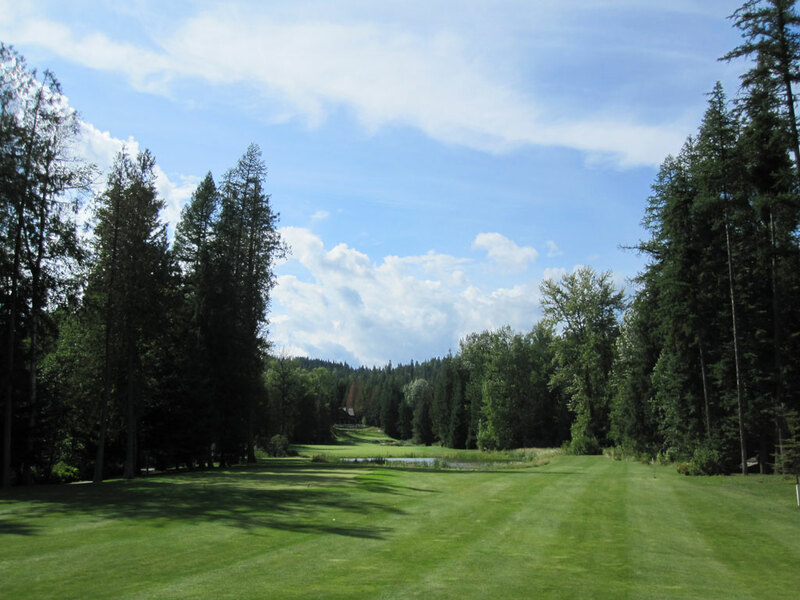 Course Website: Official Website - Visit The Idaho Club's official website by clicking on the link provided. 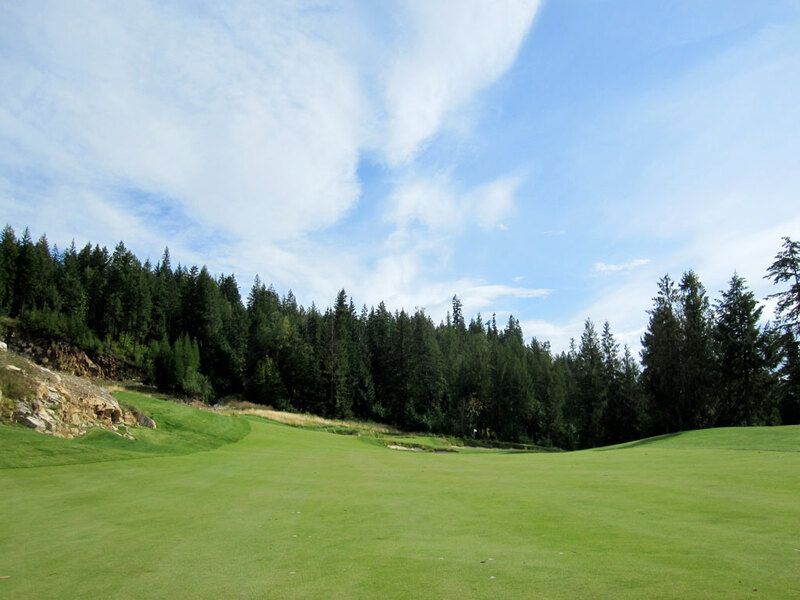 Accolades: Ranked 7th in Idaho on Golf Course Gurus' Best in State list. 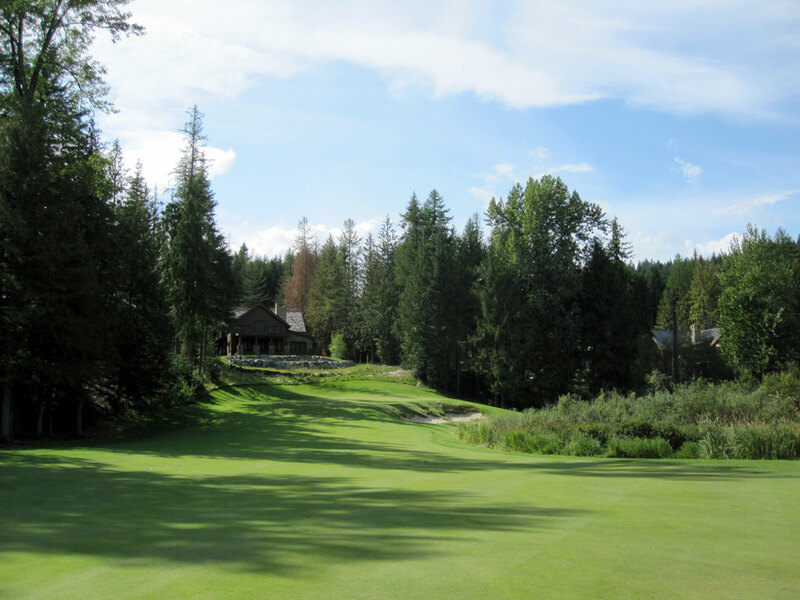 What to Expect: The Idaho Club reopened in 2008 after commissioning the Jack Nicklaus team to completely remodel the existing Hidden Lakes golf course. 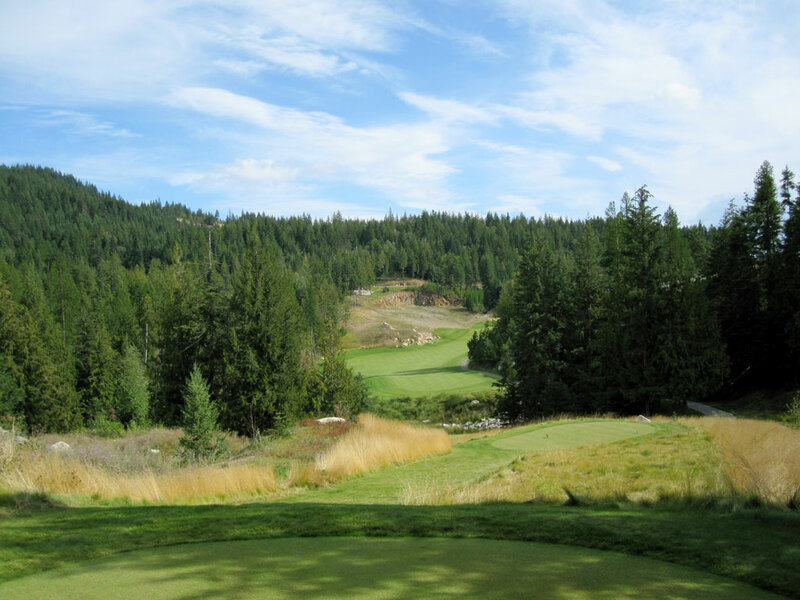 Additional land was purchased and much of the front nine is found on this new property that features gorgeous views and stunning elevation changes. The final stretch of holes returns to the original property that is much flatter with plenty of water in play. 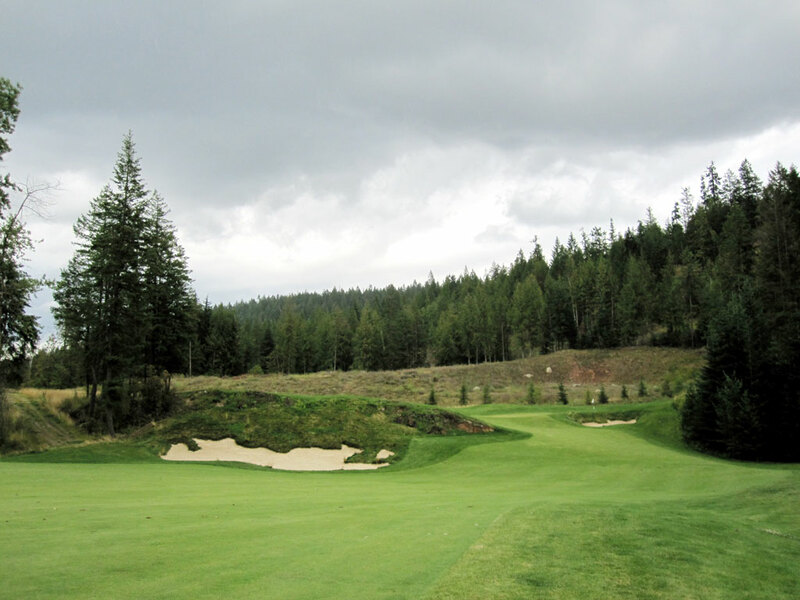 Some of the original holes are pretty much in tact on the back nine, while the front nine boasts some of the most difficult holes in the Pacific Northwest. At the Idaho Club, expect forced carries, jaw-dropping scenery, and a serious challenge. 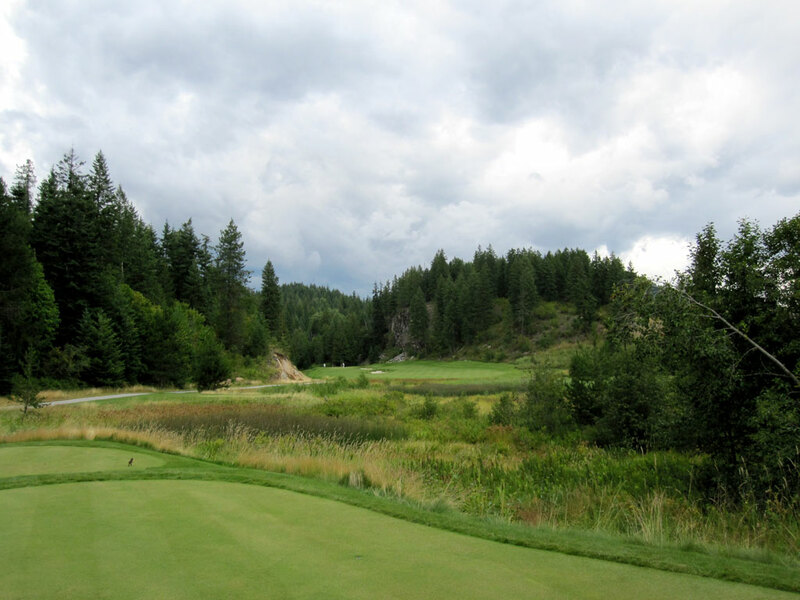 Signature Hole: 4th Hole – 153 Yard Par 3 – The 4th hole at The Idaho Club features everything that the northern Idaho course is known for; trees, water, and beauty. 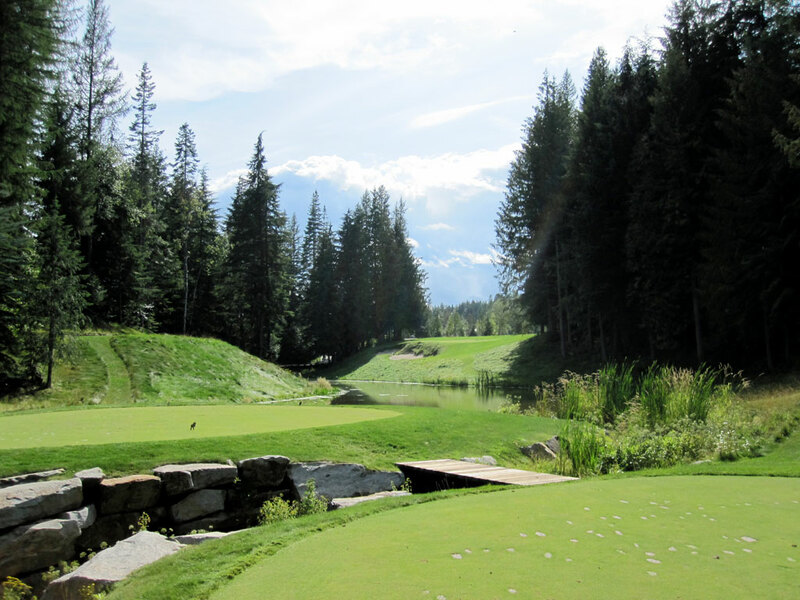 This short one-shotter plays uphill and over water to a plateau green. This attractive hole is framed by trees and a great hole early in the round. 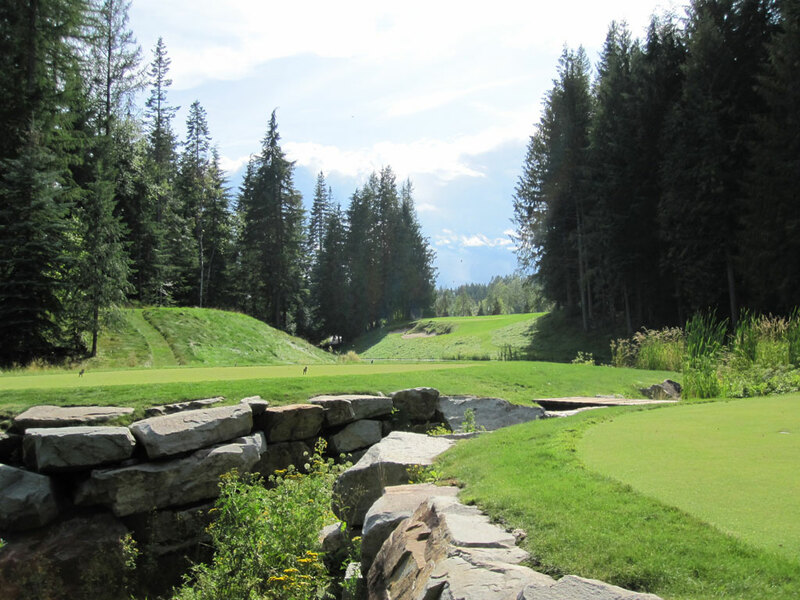 Best Par 3: 4th Hole – 153 Yards – Featured as the signature hole, the 4th hole is a quality uphill one-shotter. Anything left short will either find the bunker protecting the left side of the green or will tumble down the steep bank front and into the water below. The trees creeping in from the right side of the hole can cause havoc from the deepest tee when trying to access far right pin. Best Par 4: 6th Hole – 439 Yards – When I first stepped onto the 6th tee at The Idaho Club, I instantly felt like I was at another Jack Nicklaus course; Castle Pines Golf Club south of Denver. Castle Pines has the best collection of par 4s of any course I’ve ever played and the 6th hole at The Idaho Club could fit right in. A forced carry is required off the tee to a fairway that starts out by moving to the left and then doglegs uphill to the right and out of sight. 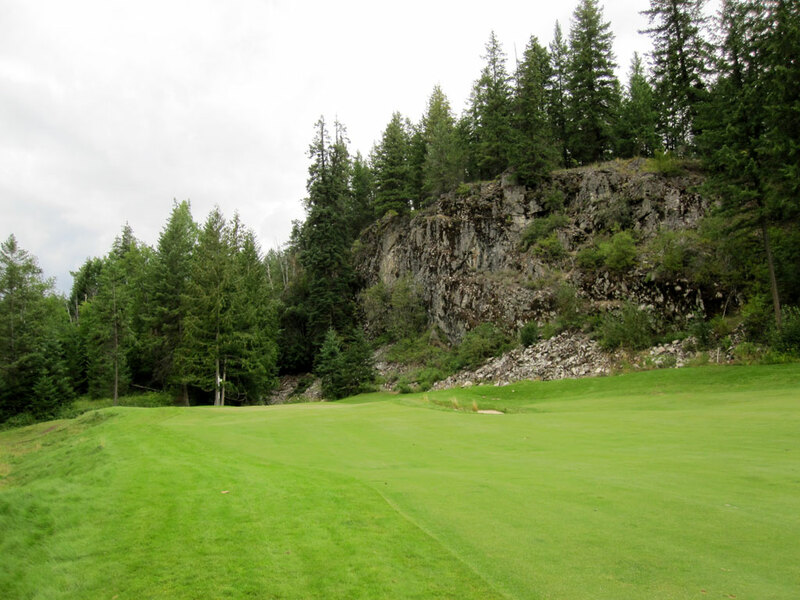 A forest of trees lines the hole and the green is surrounded by natural rock formations. The heroic nature of the hole combined with the features and shape combine to create a fantastic four par. Best Par 5: 9th Hole – 558 Yards – The final hole on the new front nine is a cape par five that wraps around a large rock formation rather than a water hazard. As the fairway nears the green, it travels to the right around a large bunker that features a high rear lip that blocks the view of the green from the left side of the hole. If you can control your draw, this is will be a friendly hole to you. Birdie Time: 8th Hole – 334 Yard Par 4 – The short 8th hole plays with a hazard running along the left of the hole and a massive rock formation towering over the right side of the green. A forced carry is required off the tee, but it isn’t a large one. Any tee shot up the middle or right half of the hole will setup the golfer with a manageable approach shot with an excellent angle to go pin seeking. 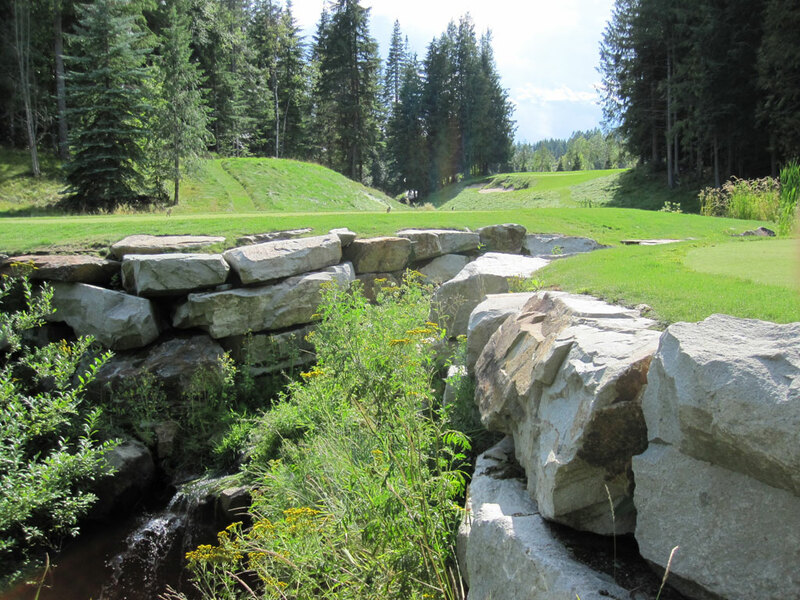 There are a ton of tough holes at The Idaho Club, but this is one that gives you a chance to take a stroke back. 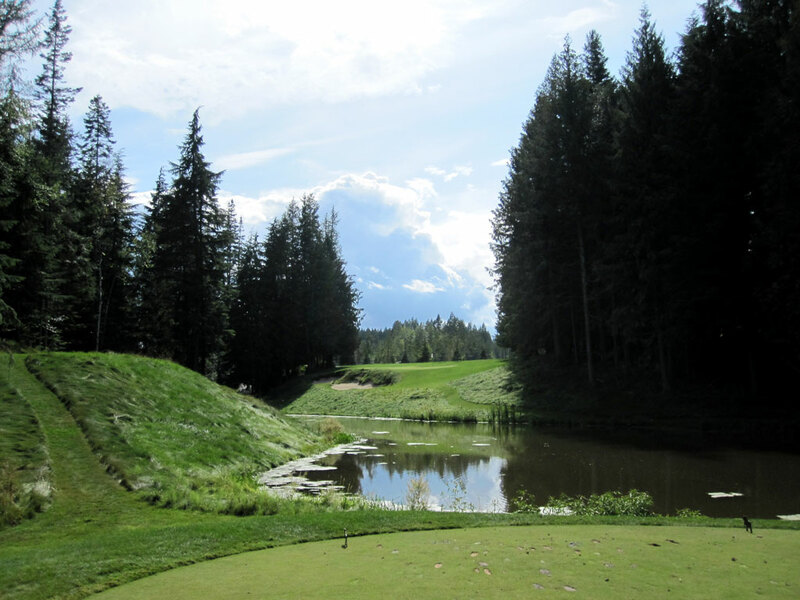 Bogey Beware: 3rd Hole – 450 Yard Par 4 – The lengthy 3rd hole sits between a pair of par 3s and is a formidable challenge. A water hazard encroaches the fairway from the left side but can be carried with a solid tee shot. The approach shot plays to a green that slopes hard back-to-front and right-to-left. A backstop behind the green can help filter balls back towards the putting surface, but if you ball doesn’t come off the backstop then you are left with a perilous chip shot that will be extremely difficult to keep near the hole. Add to that the fact that trees line both sides of the hole along with a hazard near the green on the right and you have all the elements of a tough hole to par.